Should People Drink Distilled Water? 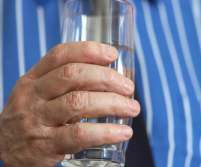 Should People Drink Distilled Water for Their Health? Should people drink distilled water? The benefits of drinking distilled water are not clear. Distilled water is extremely pure, but is it good for you? Although some people say that distilled water is the only type of water that health-conscious people need to drink for wellness, others say that the long-term effects of drinking of distilled water may actually be harmful to your health. The definition of distilled water is simply collected and cooled steam. Distilled water is very easy to make. Take any type of water, especially water with obvious impurities, boil it in a closed container and collect the resulting steam. The cooled steam is pure, distilled water. The impurities from the original water source have been effectively separated leaving only the pure water product. When water is distilled, all of the trace minerals and important electrolytes naturally found in water such as sodium, potassium, chloride and trace minerals, like iodine and magnesium, are also removed. Even though distilled water is extremely pure, its purity makes it slightly acidic. Distilled water pH ranges from 5.5-5.8. A major benefit of distilled water is that it is extremely pure. It is one of the best ways to purify water effectively, removing impurities like fluoride, organic chemical compounds and solid debris. Since distilled water is possibly the purest type of water, many health experts have advocated the benefits of drinking it daily. There is an ongoing controversy that drinking distilled water is either good for you or bad for you since there is a complete lack of dissolved minerals. Although there may be benefits to drinking distilled water—ater that is very pure— there may be some drawbacks to drinking this water consistently. About fifty years ago, many leading health experts started to promote distilled drinking water as the best water to drink. The reasoning was that distilled water is the purest type of water available. However, there may be a cloudy side to drinking only distilled water. Wellness expert F. Batmanghelidj, M.D. an alternative health physician, internationally renowned researcher and author of Your Body’s Many Cries for Water is not an advocate of distilled drinking water. For more information and for more from both sides of the topic: should people drink distilled water, check out the article Health Effects of Drinking Distilled Water. Then make this very personal decision – to drink or not to drink distilled water. Aquasana water filtering products. Aquasana give readers of this website a 20% discount off their order.